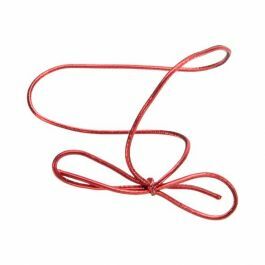 Turn any box or bag into a gift with this stylish elastic stretch loop in solid black. 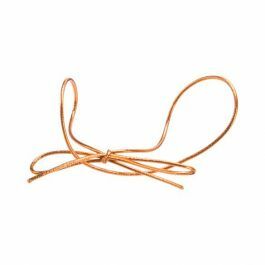 Our 16SB stretch loops measure 16 inches long and come pre-tied with a bow for easy wrapping. Stretch across a clear chocolate box for a finishing touch. Decorate and tie bags filled with treats, candles, and gifts. Stretch loops come in packs of 50. Stretch loops make it easier than ever to dress up a simple box or bag. There's no need for any cutting or snipping of ribbons or bows. 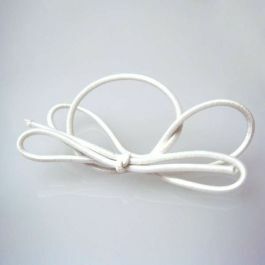 Our elastic stretch loops come with pre-tied bows that are easily stretched over boxes or tied onto bags. Our 16SB stretch loop in solid black measures 16 inches long. Wrap and decorate gifts boxes, retail packaging, gusset bags, and food bags. Stretch loops also work well for bundling cards. Available in packs of 50 in assorted sizes and colors. 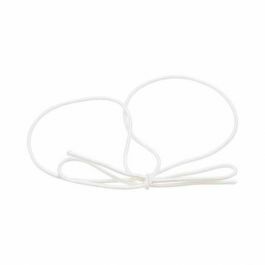 Check out our full line of elastic stretch loops here. The primary use for 16SB is to wrap and decorate boxes.